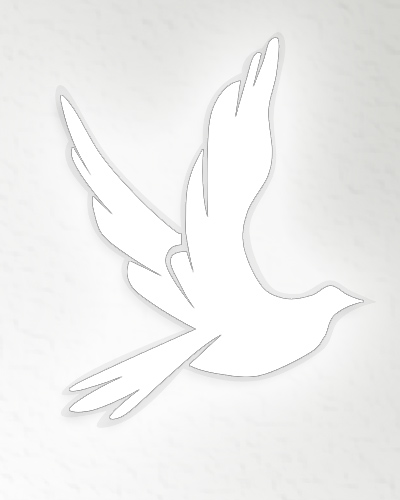 Obituary for Miriam A. Oberholzer | Harold M. Zimmerman And Son Funeral Home Inc.
Miriam A. (Martin) Oberholzer, age 92, a resident of Menno Haven in Chambersburg and formerly of Maugansville, MD died Friday afternoon August 24, 2018 at Menno Haven. Born February 8, 1926 in Hagerstown, MD, she was the daughter of the late Ira D. and Mary (Eshleman) Martin. She married her husband Walter H. Oberholzer on April 22, 1995. He died on July 17, 2004. Miriam had worked as a nurse’s aide at the former Washington County Hospital, Hagerstown and also did housekeeping work for people. She was a member of the Salem Ridge Community Church of Greencastle. She was the last member of her immediate family. Surviving family are a step-son, Nelson W. Oberholzer and wife Lucinda of Greencastle, three step-grandchildren, five step-great-grandchildren and a number of nieces and nephews. In addition to her parents and husband she was preceded in death by two sisters, Elizabeth Martin and Iva Martin and two brothers Eston Martin and Leon Martin. A graveside funeral service will be held at the convenience of the family at the Paradise Mennonite Church Cemetery Hagerstown with Pastor Enos Martin officiating. There will be no viewing. The family requests flowers be omitted. Arrangements were handled by the Harold M. Zimmerman And Son Funeral Home of Greencastle.